Recently, the Vanguard reported that the police officers guarding the Ex-President of Nigeria, Goodluck Ebele Jonathan Abuja’s resistance at Gwarimpa. According to Vanguard, the looting of the former president’s resident was first discovered by the neighbours living around the house and they reported the issue to the family of the former president which the family in turns reported to the Ex-President himself and the Ex-President finally report the burgle to the Inspector General of Police. Goodluck Jonathan said his Abuja property at Gwarimpa was looted by thieves who hid under the pretence of being policemen guarding his house. He said all the movable items in the house including the doors and frames, toilet fitting, electronics, furniture and some clothes were stolen. He added the case is still under investigation, and six of the defaulted policemen were nabbed according to the reports confirmed by FCT Police Command on Monday. The FCT Police Command reports that only four policemen were arrested in the crime. According to the statement report forwarded to the Inspector General of Police, the Ex-President’s house contained 36 TV sets and the house is just a 4-bedroom duplex which cannot accommodate the sets of the acclaimed television. 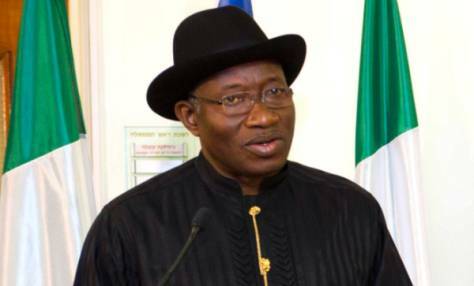 following series of enquiries from journalists and other concerned Nigerians on the extent of the reported vandalisation and theft in the house of former President Dr. Goodluck Jonathan located in Gwarimpa, Abuja. We, therefore, would like to make the following clarifications: The theft was discovered last month upon which a report was duly lodged with the relevant police authorities. The police immediately commenced investigations which led to the arrest and detention of some suspects, six of whom were policemen, even as investigations continue. The house, which the former President bought from CITEC estate developers in 2004, was totally stripped bare by the thieves who stole every movable item in the house, including furniture sets, beds, electronics, toilet and electrical fittings, as well as all internal doors and frames. However, contrary to exaggerated reports in some media, only six television sets, three refrigerators and one gas cooker were stolen. Being that the house is a modest, a 4-bedroom duplex, it couldn’t have been fitted with “36 Plasma television sets and about 25 refrigerators” as falsely reported by some media outfits. We thank all Nigerians for their show of concern and wish to convey the former President’s goodwill to all Nigerians.